Hunter's Trophy 2: AmericaMay 17, 2013Experience all the excitement of the hunt in America! From brown bear to elk, track 25 different preys in this hunting simulation set in the most beautiful countryside of the USA. Complete 30 hunting plans, play as your hunting dog during tracking ph..
Hunter's Trophy 2: AustraliaMay 29, 2013Hunter's Trophy 2: Australia XBLA. Experience all the excitement of the hunt in Australia! From buffalo to dingo, track 25 different preys in this hunting simulation set in the most beautiful countryside in Australia. Complete 30 hunting plans, pl..
My Body Coach 3Nov 9, 2012 (EU).. The Cursed CrusadeOct 25, 2011The Cursed Crusade is a new co-op action-adventure game bringing medieval supernatural action to Xbox 360, PS3, and the PC. 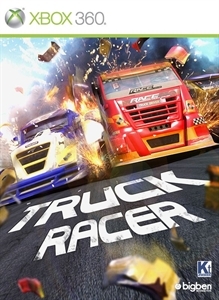 The Old World will burn: Embark on a contentious quest for retribution spanning five chapters and 40 missions th..
Truck RacerNovember 1, 2013Take the wheel of a truck hurtling along at top speed, blow away your opponents and claim victory in Truck Racer now available for Xbox 360. Features Drive on 48 tracks in vehicles that can be completely destroyed. Customize every aspect o..
WRC 5October 13, 2015The FIA World Rally Championship (WRC) pits drivers and production-based cars against some of the toughest and most varied conditions on the planet. In 2015, the roads on this epic motorsport adventure are spread across 14 countries, with 13 rallies .. In Battlefield: Bad Company 2, the ‘B’ company fight their way through snowy mountaintops, dense jungles and dusty villages. With a heavy arsenal of deadly weapons and a slew of vehicles to aid them, ..